START: Place a mat on the floor. 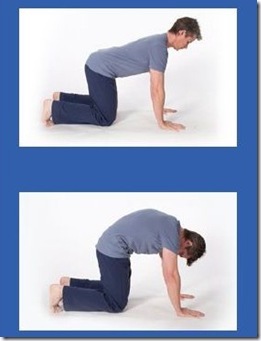 Position your body as shown in Image #1, with a spine in a neutral position. 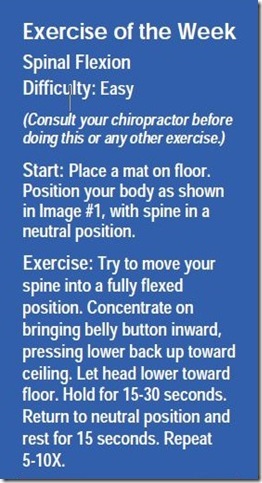 EXERCISE: Try to move spine into a fully flexed position. Let hips approximate your heels, and relax muscles of spine. Let head lower toward floor. Place arms out in front of you, or relax them by your sides. 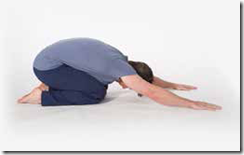 Return to neutral position and rest for 15 seconds. Repeat 5-10X. with a neutral spine or a flat back. toward the ceiling. Hold for 10-15 seconds. 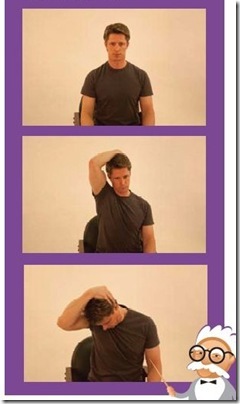 Start: Standing behind a chair, or in front of a wall. Place hands on backrest or wall for balance. Exercise: Place one foot behind other. 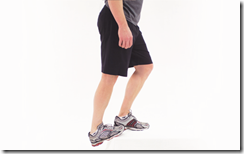 Keeping heel on floor, bend knee and lean hips forward. You should feel tension behind lower leg, close to ankle. 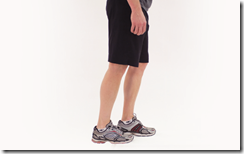 Hold for 30-60 seconds, relaxing muscles of lower leg. Switch sides, and repeat 2X per side. 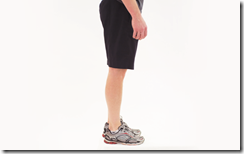 Keep knee straight to focus on gastrocnemius muscle, or bend knee to focus on soleus muscle. backrest or wall for balance. on floor and knee straight. You should feel tension behind lower leg, close to knee. 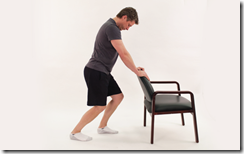 Lean hips toward chair or wall to increase lengthening effect. sides, and repeat 2X per side. Start: Sit upright in chair.